Some of you are asking these questions. Taking a certification exam can be stressful and if you have test anxiety, like I do, these exams seem impossible and the questions never seem to stop. As a young professional that recently passed the Open FAIR certification exam, I will explain the resources available to you, what you need to study, and what I did to prepare for the exam. 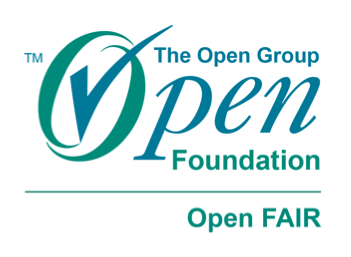 Why the Open FAIR Certification Exam? 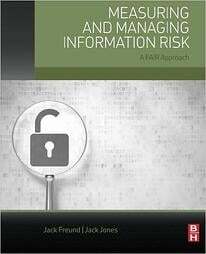 It's nice to see that an increasing number of organizations are standardizing on the FAIR risk model and building modern risk management programs. These organizations are looking to ideally staff their programs with certified Open FAIR risk analysts. I believed in the adoption of FAIR and saw the certification program as a means to be recognized as an expert risk analyst, to become a active member of the community and to develop my career. The only necessary resources to prepare for the exam are the FAIR Standards: Risk Taxonomy Standard and Risk Analysis Standard. However, there are additional resources out there that can be helpful, such as the FAIR training, the FAIR book and the FAIR community. Many people practice writing out the taxonomy, create flashcards for definitions and so much more. I used the resources from The Open Group to pass the exam (the standards, FAIR-on-a-page) and talking with others in the FAIR community, especially my mentor and fellow students. I was able to do Q&A's to identify my weaknesses. I then studied the taxonomy and practiced with mock scenarios. I was able to think through a scenario and identify each component of the taxonomy within the risk scenario. I even started explaining this to my friends, drawing out the taxonomy as a visual aide, and describing what aspects of the scenario are considered primary loss and what a secondary loss could be. I was able to communicate everything to people who had no knowledge of FAIR, which gave me the confidence I needed to take the exam. I have heard from many other practitioners that the FAIR training had been a key resource to get them ready for the exam. Once I passed, I utilized all of the available resources to continue as an Open FAIR Certified practitioner and an active member of the community. The purpose of the exam is to test your knowledge and understanding of the FAIR taxonomy and Standards (O-RT, O-RA) You can expect the questions to challenge you in these areas. The exam is short, 80 questions over 120 minutes and you need 70 percent to pass the certification. The most difficult part of the day, for me, was dealing with the logistics. I had never been to the testing site before and I was nervous about finding parking and other nuances of the day. Then, just like all Prometric locations, things became very real very fast: sign these forms, two forms of ID (both forms must have your signature on the identification), put everything in a locker and begin the exam. The procedure of getting to my station to take the exam was the most difficult part of the day! There is no precise way to study or right way to take the test, but everything you need to know is in the standards. Most importantly, know how you test and what works for you. Do not over think it. To sign up for the exam, visit Prometric and find the best location for you. Scheduling is simple and easy. I scheduled my exam a couple weeks out to make sure I got the best time slot for myself. I was committed to taking this exam and I did not want to put it off any longer. I can easily say this was one of the most important tests I have taken in my life. This certification process led me to an intellectual community that thinks critically and that challenges one other and more importantly, it has led me to my dream job! While this story is unique in certain ways, it does confirm that it is a worthwhile investment.